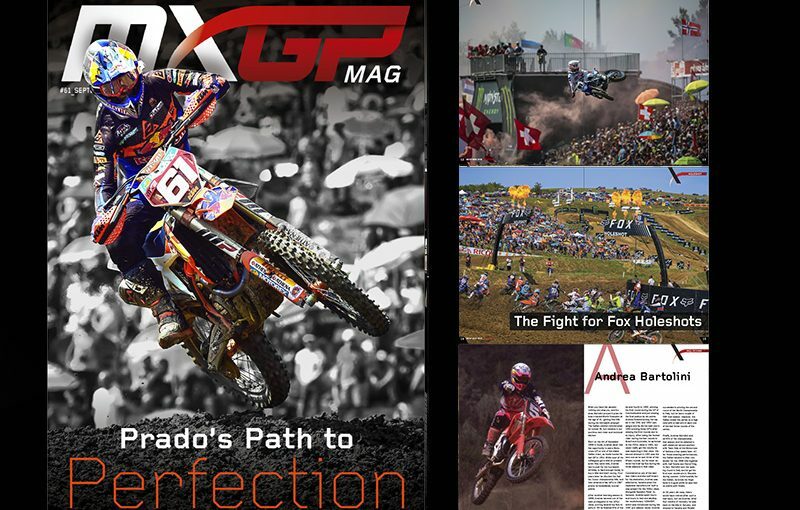 MXGP Mag #61 is ONLINE! Youthstream is proud to announce that the sixty-first issue of MXGP Mag is now online. The newest issue of MXGP Mag features the MX2 Points leader from Red Bull KTM Factory Racing, Jorge Prado plus a feature on THOR and their 50th Anniversary along with an article on the 2018 FIM Junior Motocross World Championship held in Australia. The new issue also gives a recap of the last 4 rounds from Belgium to Turkey with Switzerland and Bulgaria between including the Fox Holeshot Report. We also check out the Aprilia 450 Bicilindrica of Josh Coppins and feature Motocross Hall of Famer Andrea Bartolini. Click here to read the sixty-first issue of MXGP Mag or download it for FREE on Apple Store or Google Play.